Your time is important and we at Moore Dentistry understand. 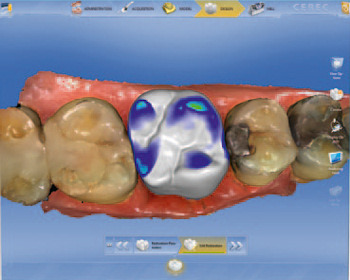 CEREC OmniCAM makes it possible to complete your crowns in one visit! Using the same type of laser found in Blu Ray players Dr. Moore can scan the area. We can achieve unmatched accuracy by careful design of your new crown. These ceramic crowns are incredibly strong and durable. Go on with your life! Go on with your smile! No temporary crown and no second visit necessary. When you leave the all-porcelain crown is completely finfished. Chairside Economical Restorations of Esthetic Ceramic (CEREC®) has revolutionized dental procedures. Traditionally, if crowns, onlays, inlays or dental veneers were required to restore damaged teeth, multiple procedures and a great deal of waiting time in-between would be inevitable. 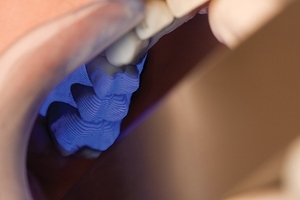 CEREC creates these ceramic restorations within minutes in the dental office. This means that many treatments can be completed in just a single visit. 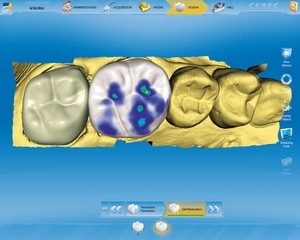 CEREC is comprised of several computer-assisted design (CAD) tools and a milling machine that creates custom ceramic restorative devices. CEREC can make almost any ceramic restoration to order, meaning Dr. Moore can place it immediately. This is of great benefit to nervous patients, and it can also reduce the cost of treatment. CEREC can benefit almost anyone needing a ceramic restoration device. Exceptions include patients who have a prior history of breaking ceramic devices and those with a deep bite. CEREC devices are proven to last many many years. The biggest advantage to CEREC over traditional crowns is one visit versus two. 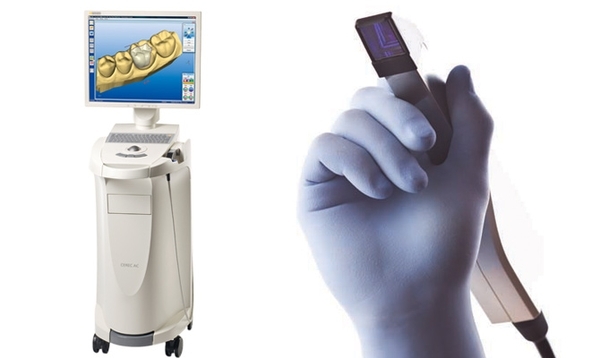 What is the CEREC system comprised of? The first step in the procedure is to prepare the tooth. The dentist removes all tooth decay and creates a divergent occlusal axial wall, to make the opening of the tooth wider than the base. Next, an impression is made using a covering of titanium dust. This dust allows the camera to take a highly detailed picture of the tooth. 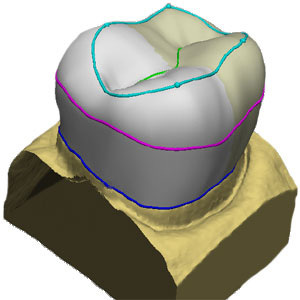 Images are formulated with the CEREC camera. CEREC optical imaging utilizes an infrared wavelength.The image is transposed onto the computer screen. It is here that the dentist is able to view the tooth from every angle and design the final restoration. When the design is complete, it is transmitted to the milling unit. Dr. Moore and our clinical assistants choose a block of ceramic that matches the color of the teeth. This ensures that the restoration will be almost invisible. Within 15 minutes the full crown, onlay, overlay or veneer is complete. The restoration is made of compressed, rather than laboratory-layered porcelain. This enhances strength and durability. Before affixing the restoration to the tooth, the dentist will place it dry to ensure it fits perfectly. It is then polished and affixed to the tooth with dental cement. The procedure is now complete, and all without the need for a second visit! The quality of the results is the same as the laboratory-generated restoration, but a great deal of time and money has been saved. If you have questions or concerns about CEREC®, please ask Dr Moore or one of our amazing team members! CLICK HERE to see pictures and videos of this amazing technology!